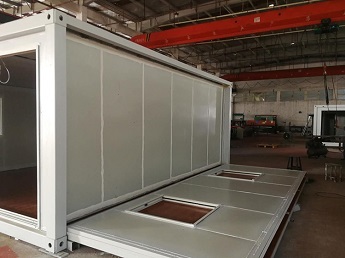 Sandwich Panel And Galvanized steel frame. 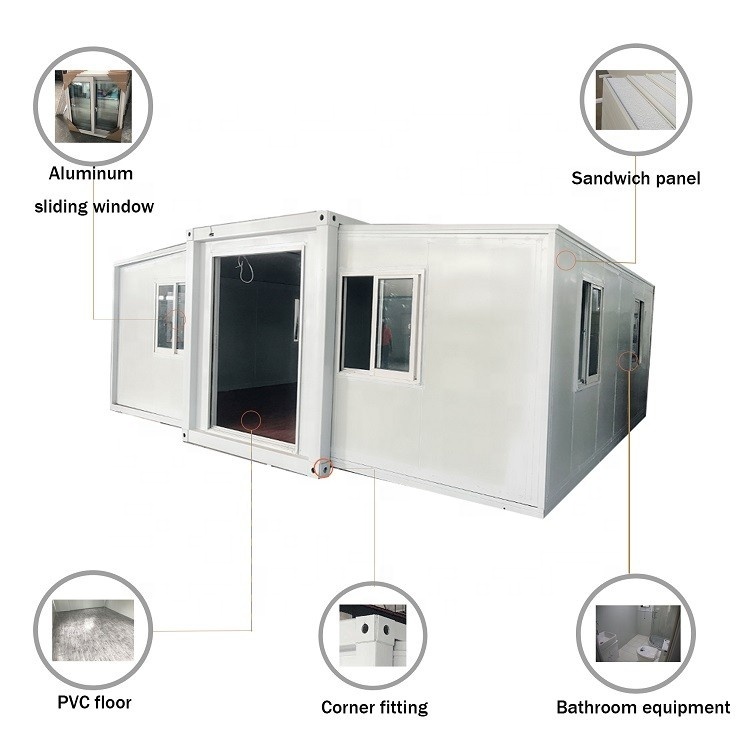 There are bedroom,bathroom,kitchen in one expandable container house.Plumbing and electricity are istalled.We provide the service that install your standard electricity, such as AU standard, EU standard, American Standard. 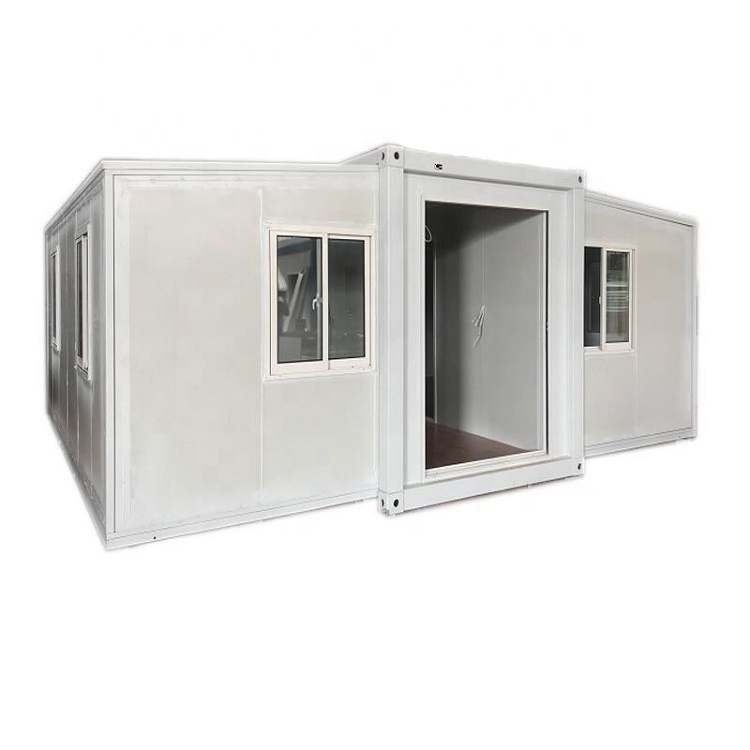 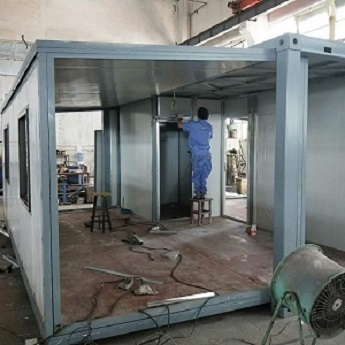 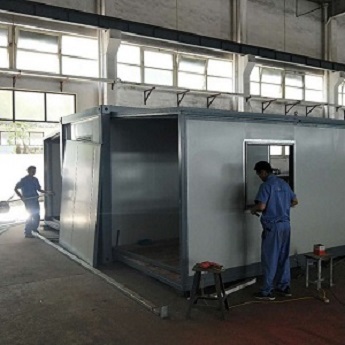 2 units 20ft expandable container house can fit in one 40HQ sea container. 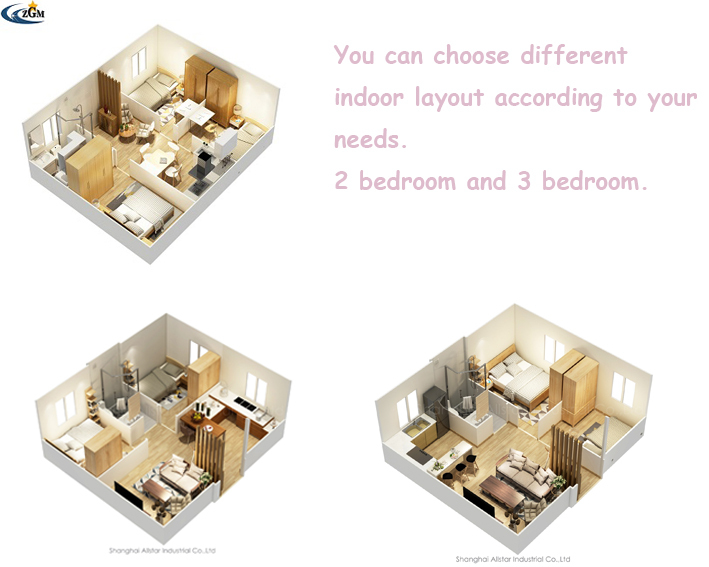 If you have your own design, We will make your ideal home come true. 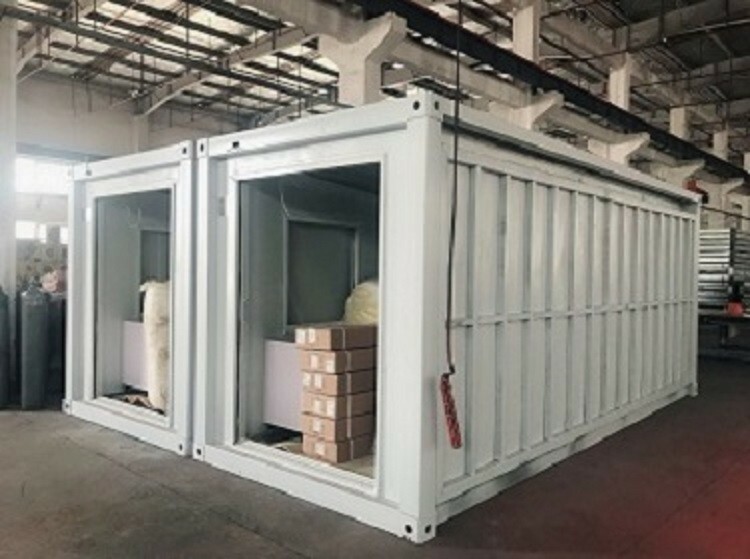 We pack the cupboard and other accessories with wooden flooring support to avoid movement during the shipment. 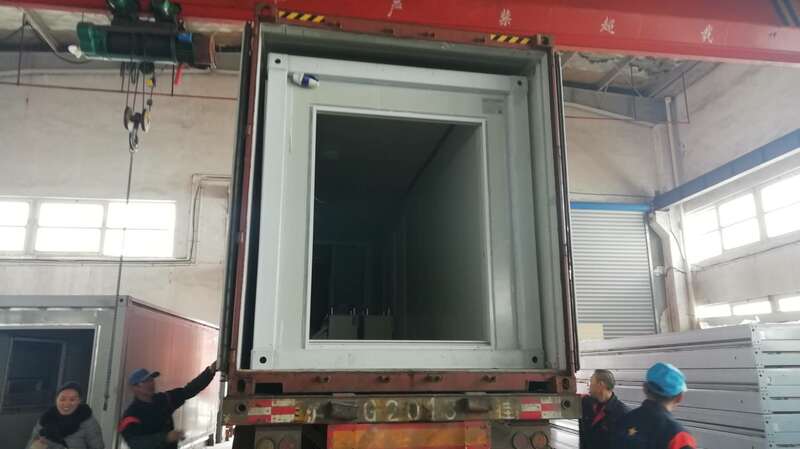 We have different packing ways if needed but maybe it will cost more. 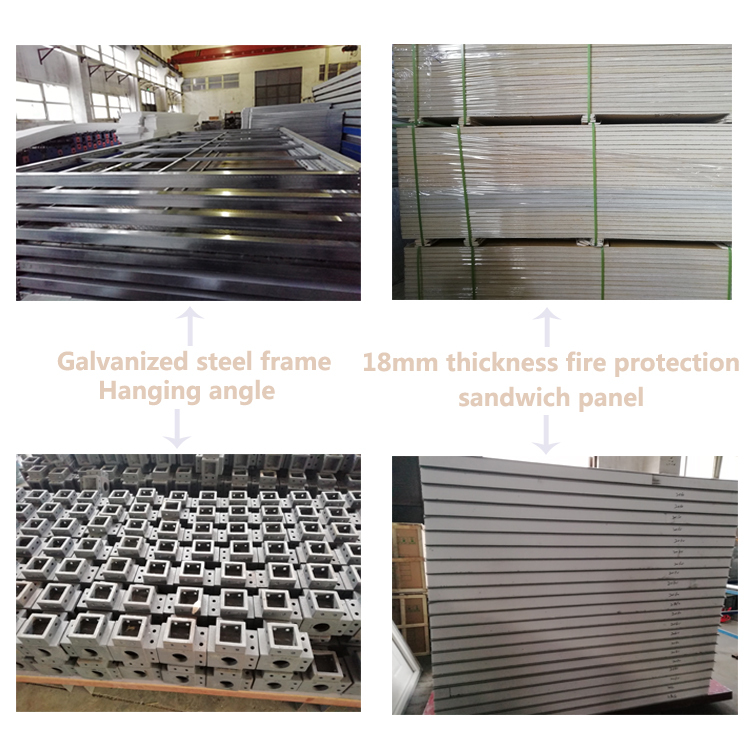 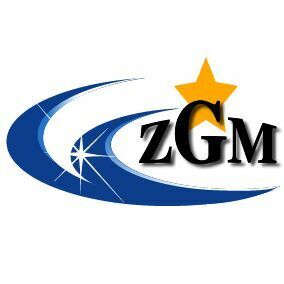 Please contact our sales in details. 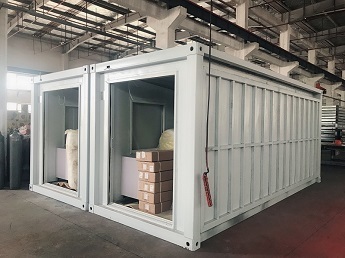 This house can be packed in 40 'HQ or 40' OT cotainers.40 'OT is more convenient for loading and unloading, but the freight will be more expensive than 40' HQ. 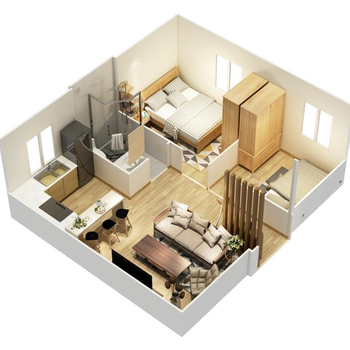 Different things,different price.Just make your decision and send us what you need!We are waiting for you here! 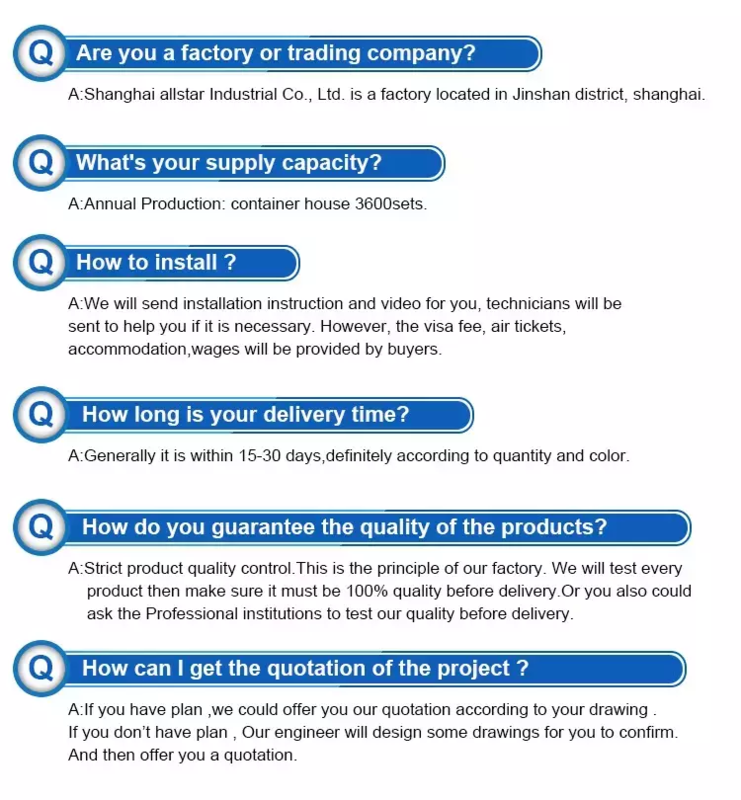 If you are interested in our expansion of container house, please kindly provide to us your prefab house drawings or the following information, so that we can give you a better offer.